The number of children in the region committing drug offences has increased, official figures show. A surge in county lines networks – which gangs use to transport drugs out of cities to rural areas – has been blamed for the increase in child drug offences across the country. There were 121 drug offences committed by children aged between 10 and 17 in West Mercia in the 12 months to March 2018, Ministry of Justice figures show. This was a 42 per cent increase from the previous year when there were 85. Mid Wales also saw an increase in the number of drug offences carried out by children but the rise was far less than in the West Mercia region. There were 39 drug offences committed by children in Dyfed Powys in the 12 months to March 2018 – an 11 per cent increase from the year before when there were 35. Across England and Wales, the number of drug offences committed by children rose by 2.5 per cent last year to 5,965 – the first increase for ten years. Not all crimes committed by children will lead to a formal outcome, meaning the actual number of crimes could be higher than the figures suggest. "We want police to recognise that in many cases young people haven’t made a choice to get involved in gangs – they have been groomed and coerced in the same way as we have seen young people groomed and coerced into sexual exploitation." A new report by the NCA revealed there are now 2,000 such phone lines across the UK – up from 720 a year ago – facilitating around 1,000 unique drug trafficking routes. Drug offences made up nine per cent of all proven child offences in West Mercia last year. Only a few years ago the public would never have heard of ‘county lines’, writes Jennifer Green. Now the phrase has become part of modern life as police work to tackle drug dealers looking to push their way into towns across the county. The issue of County Lines has come to the fore in recent years, with gangs using phone lines across the UK to supply drug trafficking routes. It has been estimated that there more than 2000 of the lines in use across the country. 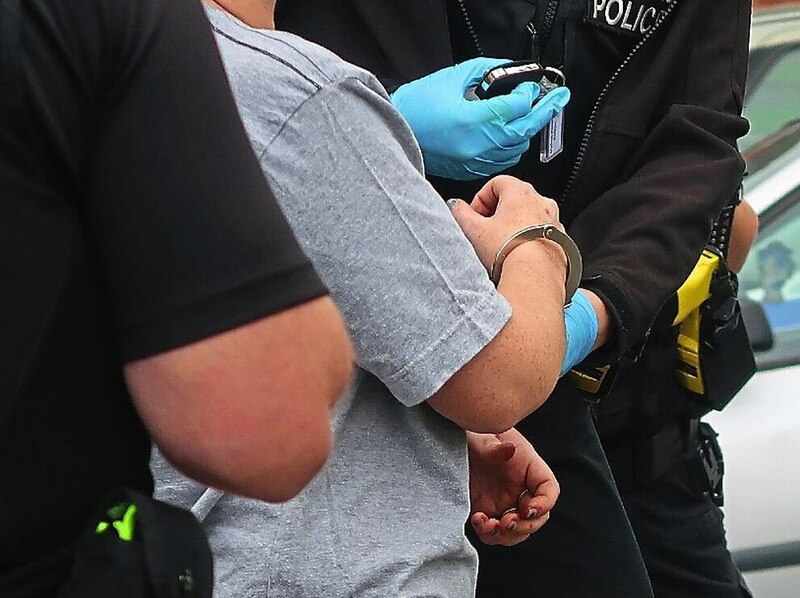 West Mercia Police have been at the forefront of attempts to tackle the crime, with five dedicated detectives now working to catch those responsible. Only last month a team took part in a dedicated operation in Oswestry, and explained how they had busted a line into Meole Brace in Shrewsbury. Last week Detective Sergeant Lee Medlam who has been leading a policing team in the north of the county told how they had been tackling the problem. He said: “We have been up to Oswestry in the last two weeks to tackle the issue, but everywhere is a problem and a priority. “We have been keeping a foot presence in the town to tackle the drugs issue, and on Friday we carried out these operations. One of the issues related to County Lines is where drug dealers take advantage of vulnerable people through a process called cuckooing. After two men were jailed in connection with County Lines in June last year, Superintendent Jason Wells, who was local policing commander, explained how it works. He said: “So called ‘county lines’ sees city drug dealers attempt to move their drug dealing into smaller county towns using a dedicated phone line to orchestrate their dealing.